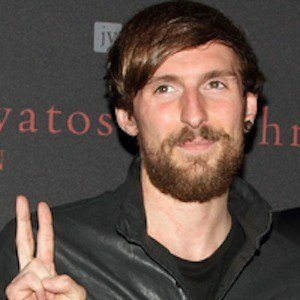 Scottish drummer known for being a founding member of the Glaswegian band Twin Atlantic. Their 2014 album Great Divide was their first to chart in the top 10 in the UK, peaking at number one in Scotland. The band was formed in 2007 after the members, grammar school friends all playing in different bands, decided to play together. They've shared the stage with bands like Blink-182, Smashing Pumpkins, and The All-American Rejects. Like his bandmates, he grew up in Glasgow, Scotland. He and Sam McTrusty have played together in Twin Atlantic.